This week Kasia takes a different look at Facebook. How they – and other “free” social media sites – make money using your information. How do these sites manage to make money? The sheer scale of development costs and supporting a large user base is expensive. The one element that all of these services have in common is the uniform requirement of personal data; while this data is used to identify you, it’s also used as collateral to be sold to advertisers and other interested parties. Plus we hear what Jay Baer has to say about the cost of social media. Dan Wallrath, President, Wallrath Custom Homes and Virginia-based home builder Van Metre Companies have been designated as winners of the 13th Annual Hearthstone BUILDER Humanitarian Awards. 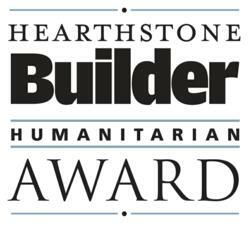 To honor the winners and support their continued philanthropic efforts, the Hearthstone BUILDER Award Foundation will make cash contributions of $ 150,000 to charities designated by Wallrath and Van Metre Companies. The benefiting charities include Operation Finally Home, Capital Caring, and Children?s National Medical Center. ?This year, we recognize two of the leading lights in the builder philanthropic community,? said Boyce Thompson, editorial director of BUILDER. ?Dan Wallrath and Van Metre Companies have set examples for many to follow in the building industry and beyond. They join an esteemed group of leaders truly making a difference. We applaud them for their benevolence and dedication to their communities.? Since 2000, the Hearthstone BUILDER Awards have celebrated the personal commitment of professionals across the housing industry to improve their communities through sustained contributions of time, resources, and financial support. Award winners are selected from an open call for nominations and reviewed by a panel of industry leaders. The 2012 recipients were honored at an awards reception last week at the International Builders? Show in Orlando, Florida. They are also profiled in the February 2012 issue of BUILDER magazine. The Hearthstone BUILDER Humanitarian Awards were founded in 2000 by BUILDER magazine and preeminent institutional residential real estate investment firm Hearthstone which has made $ 12.7 billion of acquisition, development and construction financings over the past 20 years, to recognize and support the philanthropic work of those in the housing industry. Since its founding, the Hearthstone BUILDER Foundation has contributed more than $ 4.7 million to various charities in the names of Hearthstone BUILDER Award honorees, making it the largest charitable award program in the home building industry. 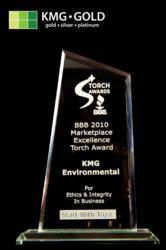 Receiving recognition from this program is among the industry?s most coveted honors. For more information about the program, visit http://www.BUILDERONLINE.com. D97 How to make money NOW with no money!!! Peter Pure advice! I Have Several Products On This Website For How To Make Money From Home. The Secret Book Of Free Money! Stimulus Money From The Source. Access To Free Cash Grants. Money Is Available Now. Act Now Before These Million Dollar Giveaway Programs Are Gone! www.youtube.com How to make money fast by scrapping. In future videos I will show you where to find scrap, how to scrap it, and all things your going to need to know about it. All you need is a vehicle or a way to haul the metal. Take it to your local scrap yard and get cash on the spot. It is very important to call your local scrap yardS to make sure you take it to the one paying the most. Prices do vary a lot!!! How to make money on YouTube is a good video to watch. Discover An Amazing System To Earn Online Income In Your Pajamas! 12 Powerful Audio Sessions Created By The Leading Expert In Online Learning, Dr. Jim Flores, Who Has Completed Nearly 400 Hours As An Online Student Earning 8 Degrees Online From Accredited Universities.